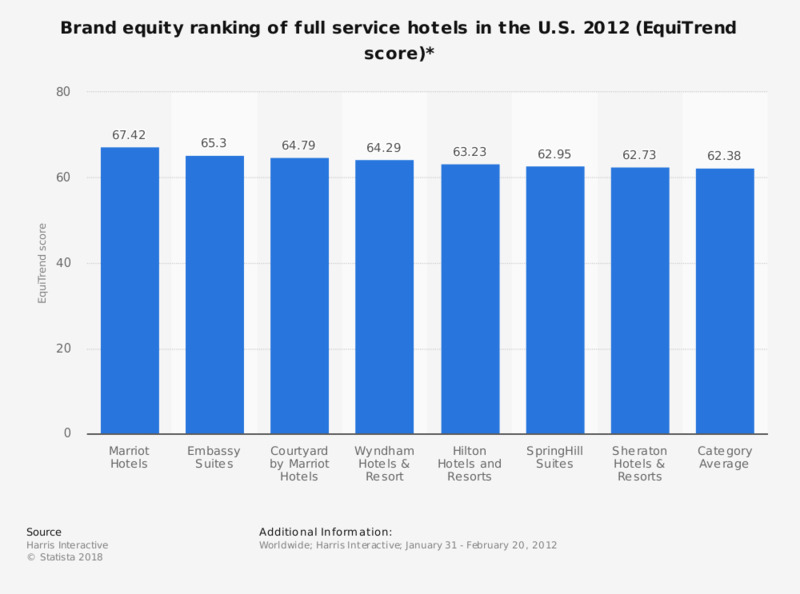 The statistic depicts the EquiTrend ranking of full service hotels in the U.S. in 2012. Marriot Suites' EquiTrend score is 67.42 in 2012. Clarion Hotels and Renaissance Hotels (not included in this statistic) ranked below the category average.